A smart, classy thriller that blazes with the heat of Australia and slowly reveals its many layers. A smart debut. Beautifully atmospheric with its great sense of time and place. It is addictive. It is mysterious. It is compulsive and it is going to be one of the big books of 2019. The Van Apfel Girls are Gone calls to mind The Virgin Suicides, Picnic at Hanging Rock with a dash of To Kill a Mockingbird. Certainly the writing bears the comparison. It is page-turning literary fiction, in the same vein as Jasper Jones by Craig Silvey, or more recently, Holly Throsby’s work. Sharp, mysteriously moving and highly entertaining. How do you escape your childhood? This compelling mystery by Felicity McLean has a rare depth of psychological and emotional truth. It will engage your heart. Engrossing and goosebumpy from start to finish… a novel that is as delightful as it is terrifying, and just scary good. McLean’s prose is masterfully compressed. A taut, beautifully written thriller with a scorching expansive setting. 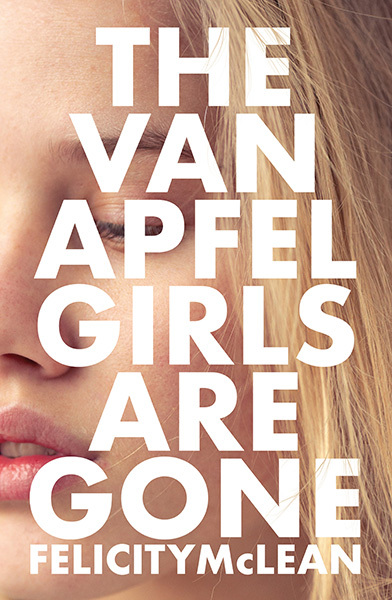 The Van Apfel Girls Are Gone is a fantastic debut and a story that lingers. A wry, sad coming-of-age story and a well-crafted first novel. A 2019 thriller you need to know.